While Haneri might be a new name for audiences, the woman behind Haneri is not. Daphne Khoo started her journey as an entertainer by becoming a finalist in the first series of Singapore Idol, one of the country’s most popular television shows during its airtime. 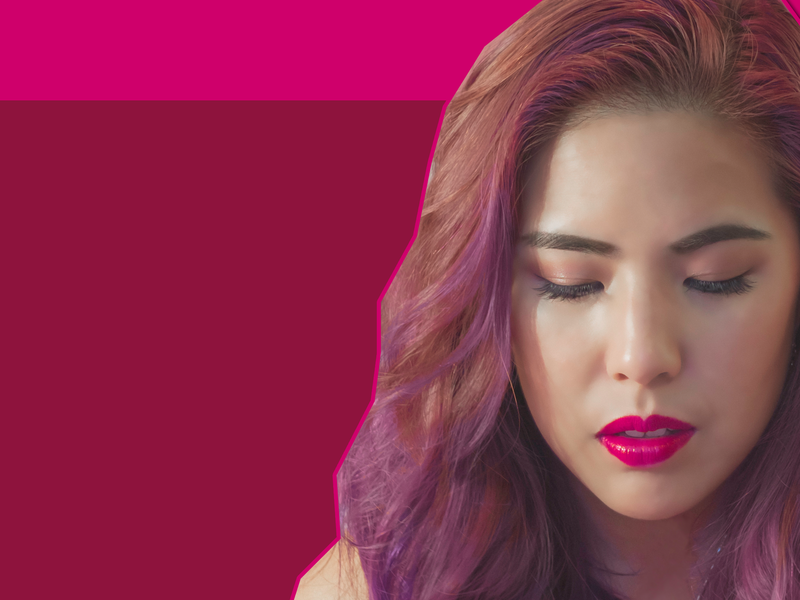 After releasing the Desperate album in 2007 and some other well-received EPs, Daphne Khoo reinvented herself – goodbye Daphne Khoo, hello Haneri. Entranced by Haneri’s debut single “Burning Up,” a flaming hot pop bop which could easily slot in somewhere on Taylor Swift’s 1989, I got the tea on “Burning Up” and Haneri’s outlook on reality singing shows. What does the name ‘Haneri’ mean? Haneri is actually the Hawaiian translation to the meaning of my Chinese name. I create music because it is the best and most honest way I express myself. What does the symbolism in the music video for “Burning Up” represent? Great question! It actually just signified that people who we think are judging us could actually be going through the same thing as us. In the video my bruise turned into the symbol and the symbol could represent an abusive relationship or domestic violence for different characters. It’s open to interpretation though for sure. Many people believe that singers who become famous through TV talent shows, like you did from Singapore Idol in 2004, don’t deserve their platform and are manufactured. What do you say to those people? I’m not quite sure who says that anymore. The old school industry manufactured a ton of pop artists but with Spotify and music programs being readily available, artists can create themselves. In fact, a lot of people that start their music career through reality TV shows have ended up doing something unrelated to music. Do you think TV talent shows have had a positive or negative impact on the music industry? That’s a pretty loaded question. I think there are definitely two faces on the coin of the aftermath of joining a TV talent show and how it has impacted the music industry. Lots of positives being that it gave people a platform to show the world what they had and fast tracked themselves into meeting people in the industry they would, if not for the show, never have met! I honestly can’t think of any negatives right now, but there are some pretty tight contracts that come with getting on a TV talent show that are definite negatives. Have you noticed any issues being faced by women in the music industry? I think there are challenges in every field of work. I try to face everyday with a positive and grateful attitude. What’s the pop scene in Singapore like? It’s constantly evolving and I’m constantly on the go so, to be honest, I can’t paint you a clear picture. But there are definitely a bunch of insanely talented people from that little island! Who are your favorite Singaporean female artists? Wow that’s a tough question. I really love Joie Tan, her songwriting and performances are incredibly genuine and relatable. Which female musicians from Singapore, as well as the rest of the world, have you thought about collaborating with? Again, super tough question. I think if I had a choice from anyone in the world, I might pick Hayley Williams from Paramore. How do you feel about the global explosion of K-pop (Korean pop)? Would you like to see Singapore’s pop scene blow up like that? Definitely! I think it’s a whole different beast, but I think the support for local music and the awareness of Singapore as a country is growing, so hopefully it’s just a matter of time. Which countries in particular would you like to take your music to? Oh man, all over!! Particularly the UK, Japan, Korea, more of Malaysia, Indonesia, Thailand, China… Pretty much everywhere! What’s left for Haneri in 2017? So much! I’m writing a lot more so stay tuned to my socials for updates!